luggage of Davido on an Emirates flight. 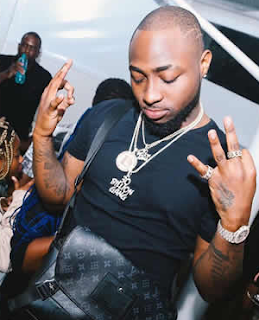 It was gathered that Davido who had arrived the country through an Emirates flight around 5 pm, had 17 checked luggage, which the aides refused to allow the officials of the Checkport verify with the attached tags. Crisis broke out when a Checkport staff at the airport attempted to verify some of the checked luggage with the attached tags, but, rather than allow the staff to carry out his official duty, the aide (Kayode) insisted that he would not allow him to verify the luggage, which after much arguments and insistence, led to fisticuffs.